Warren Rieutort-Louis, a departing Graduate Student in the Engineering Department, has devoted every available moment to music-making in his years at Princeton and has been a loyal and resourceful Glee Club officer. We’re thrilled that his story, complete with lots of footage of the Glee Club in rehearsal, is featured on the PU homepage this week! A Princeton alumnus and his wife have given $10 million for the Music Building that is part of the University's art complex under construction. The building eventually will be named by the donors, who wish to be remain anonymous for now. The three-story Music Building will contain a performance and rehearsal space, acoustically advanced practice rooms and teaching studios, and a digital recording studio. Read more here. Junior soprano, Varshini Narayanan was awarded Beinecke Scholarship for postgraduate study in anthropology. She plans to spend the summer doing ethnographic research in southern Spain, working toward a senior thesis on the pedagogy of flamenco music. Read more here. Join us for WWFM's broadcast of the 2014 Walter L. Nollner Memorial Concert: Seven Last Words on Monday, March 30th at 8:00 p.m. Conducted by Gabriel Crouch and joined by soloists Clara Rottsolk, Tim Keller '11, Amanda Quist, James Kennerley, Jonny Howard, and Saunghae Anna Lim, the Princeton University Glee Club presents Modern Passions for Good Friday by James MacMillan, Erik Esenvalds, and Arvo Pärt. William H. Scheide, the Princeton philanthropist and Bach enthusiast who made significant contributions to scholarship in various fields of study and curated one of the largest rare book and manuscript collections in the world, died early this morning, a source close to the family confirmed. He was 100.Our condolences to his wife Judy, family and friends. Read more. Congratulations to our dear friends in Calmus, who turn 15 next month. We had the time of our lives singing with you in Leipzig and at our first Glee Club Presents concert, and will be joining you for the live-streaming of your anniversary concert on October 4th, at 1:30pm Princeton time. During the annual Class Day Ceremony on June 2, 2014, our very own Director Gabriel Crouch was made an honorary member of the Class of 2014. This year, he was joined by Class Day speaker and former Vice President, Al Gore, as well as several other distinguished faculty. Read about all the honorees! On January 6, 2014, the Glee Club helped celebrate the 100th birthday of Bill Scheide of the Princeton class of 1936 and thank him for his immense support of Princeton, music, and the Glee Club. Just last month Scheide treated the Glee Club to a dinner at his favorite restaurant in Leipzig while the Glee Club was touring in Europe. A great fan and scholar of J.S. Bach, Scheide was entertained by the Glee Club performing O Jesu Christ, meins Lebens Licht followed by a rendition of Happy Birthday. Read the whole story and see a video of the event! On December 30, at 8pm, Classical Radio WWFM will air a 2-hour special, including the Bach Magnificat performed earlier this month, and the Faure Requiem and works by Vaughn Williams performed in 2012 for our annual Walter Nollner Memorial Concert. Congratulations to Gabriel Crouch! 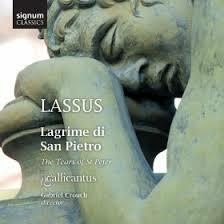 His recording with Gallicantus of Lassus' cycle of madrigals, Lagrime di San Pietro was selected as a 'Recording of the Year' by Gramophone as well as 'Editors Choice' in the December issue of Gramophone. Early Music Today gave the recording 5 stars and wrote: "Everything Gallicantus touches seems to turn to gold." The Glee Clubs of Princeton and Yale have jointly commissioned a piece by renowned Finnish composer, Jaakko Mantyarvi, to be performed on the occasion of the two groups' 100th annual meeting on the eve of the football game between the two schools. Please join us on November 15 in Alexander hall for the premier with the Yale Glee Club! After the critically acclaimed performance of Orlando de Lassus's Lagrime di San Pietro at Wigmore Hall, Glee Club director, Gabriel Crouch and his early music ensemble, Gallicantus, have recently released a studio recording of this moving work--the last of de Lassus's life. Listen to an excerpt from the new album! Glee Club Vice President, Aryeh Nussbaum Cohen '15, was profiled on the Princeton Admissions website as an all around outstanding student. Pursuing a liberal arts education at Princeton in history and politics, Nussbaum Cohen is also making waves as a tremendous countertenor. Under the mentorship of his teacher, David Kellett, and Metopolitan Opera countertenor Anthony Roth Costanzo '04, Nussbaum Cohen continues to pursue his vocalism in exceptional ways. He recently received the Dale Award, a scholarship for independent summer study, which he used to train with experts at The Julliard School and the Metropolitan Opera's Young Artist Development Program. In addition to his post as director of the Glee Club, Gabriel Crouch maintains a prolific performing career as member of both the professional early music group Gallicantus, as well as the choir Tenebrae. Both groups have been extremely active throughout the summer performing in festivals in Europe as well as recording. In early July, Gallicantus launched a new recording of Orlando de Lassus’sLagrime di San Pietro at Wigmore Hall to tremendous acclaim. 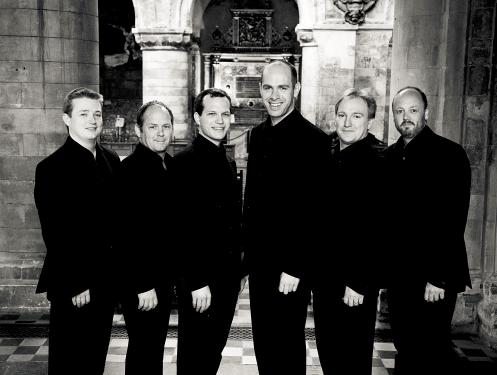 Tenebrae received an extremely favorable review for their performance with the London Symphony Orchestra during the City of London Festival. They also recorded Fotheringa and sang in the Festival de Saint Riquier. In light of his many positions, Gabriel Crouch was asked last week by Gramophone to discuss whether it matters if a choir is ‘professional’ or ‘amateur’? Glee Club Director Gabriel Crouch will perform with Gallicantus and lead a Lassus choral workshop during the Beverly & East Riding Early Music Festival in Beverly (UK) on May 24 & 25, 2013. The Glee Club was lucky enough to be involved in the University’s recent Aspire Campaign singing in all kinds of places from President Shirley Tilghman's backyard to Frick Chemistry Laboratory. Read all about it in Tara Ohrtman's article here! On April 26 & 27, 2013 Princeton University Orchestra and Princeton University Glee Club will perform masterpieces by Poulenc and Ravel. Read what Maestro Pratt and Maestro Crouch are saying about the upcoming concert. 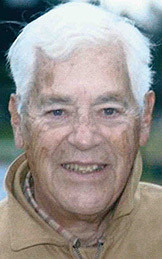 A heartfelt thank you to an extremely dedicated Glee Club alumnus, J. Mahlon Buck Jr. '46 and his family. This generous donation will help the Glee Club to continue to impact the culture at Princeton and the lives of those involved! 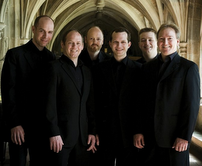 BREAKING NEWS: The Princeton University Department of Music will present the Choir of King's College, Cambridge University at the Princeton University Chapel on April 8, 2013! Read the full press release! Princeton University will host the 2013 Annual Handel Festival with panels featuring Metropolitan Opera dramaturg Paul Cremo, Met singer Anthony Roth Costanzo '04, and perfomances by the Chamber Choir and the Glee Club. Read more! 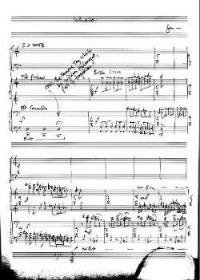 Firestone Library has recently purchased a manuscript of Handel's Berenice! Read about this great addition to Princeton's music collection. Congratulations to Glee Club Director Gabriel Crouch whose latest CD, The Word Unspoken, has received a great review by the BBC on Saturday December 15. The Glee Club is happy to announce that one of its members was chosen to be the Valedictorian of the class of 2012. A warm congratulations to Nathaniel Fleming, a four year member of the Glee Club. Read about it here! 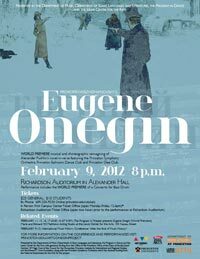 The Glee Club participated in the world premiere of Sergei Prokofiev's lost work, Eugene Onegin. Read about it here!